Rubbing to edges and corners bumped. Spine and covers creased. Prince crossed out on back cover. There are just two kinds of people in Summerside: those who are Pringles and those who aren't. Anne Shirley. the red-haired girl from Green Gables, has now grown into a young woman and her romance with Gilbert Blythe begins to flourish. There are important developments in her career too, for Anne is now Principal of Summerside High School. 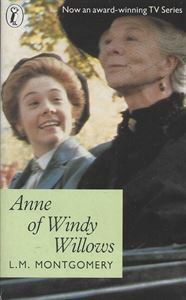 But life is not easy at the school, and it needs all of Anne's courage, diplomacy and natural high spirits to overcome the prejudice of the locals and, more particularly, the Pringles - the family that virtually rules the town and the surrounding countryside.